Do you want to know how to start a low carb diet? I have all the information you need, and I also address some very common concerns and questions! 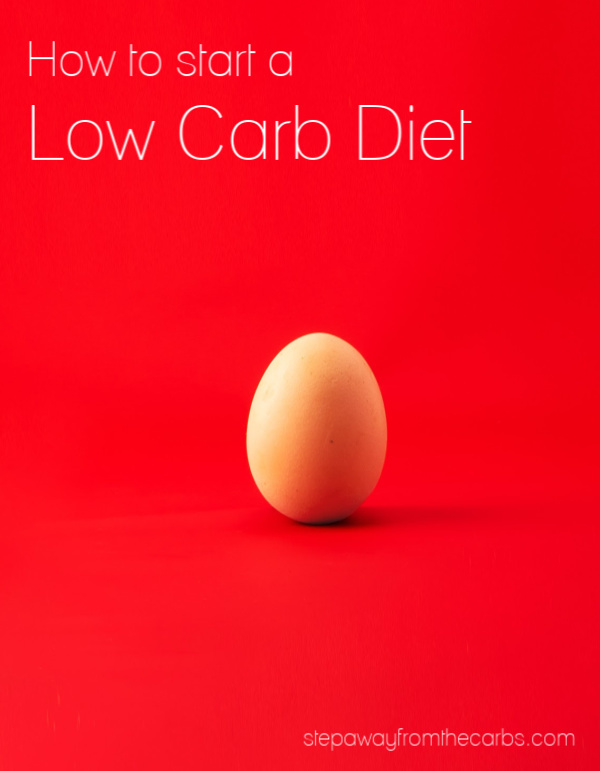 Have you heard all the good things about low carb diets and want to see if it works for you? Has your doctor informed you that a low carb diet would be beneficial and you don’t know how to start? If either of these apply to you, keep reading! I’ve been following a low carb diet for over ten years, and although I’m not a dietitian, I *do* know a thing or two about answering questions about low carb diets. How can I live without bread? How will this affect my family? How do we eat together? I’m going to starve. What on earth will I eat? I can’t live without pasta! How do I know what foods are low carb? I’m so overwhelmed. Where do I start? What is low carb exactly? How will I eat out? I’m going to be so embarrassed ordering. Where do I find recipes that you think I should eat? Can I drink wine on a low carb diet? What are good low carb treats? Do they even exist? Can I still have potatoes? What am I supposed to do on hard workout days? Is it all bacon eggs and cheese? Sound familiar? By the way, these are real questions and concerns that people have had! I particularly like the last question because when I started hearing about low carb diets back in the UK about 12 years ago – it was all Atkins-everything, and it made the news by showing huge skillets of fried eggs and greasy bacon as the “new way to lose weight”. Of course, everyone thought it was fake news – at first! I’m going to look at all these issues and address them, plus throw in a lot of bonus information along the way. And I’ll try and make it as easy as possible for you! 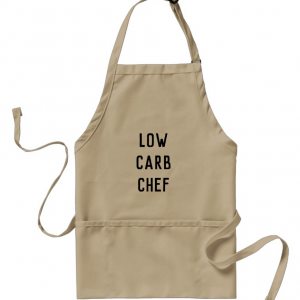 Let’s tackle a big question first – WHAT is a low carb diet? Well, it basically turns the “standard” dietary pyramid on its head, keeping carbohydrates to a minimum and increasing things like protein. The exact amounts depend on which kind of plan your are following, but typically range between 20-50g net carbohydrates per day. If you don’t understand the term “net carbs”, then check out What Does Net Carbohydrates Mean? – and remember nutritional data panels are arranged differently for those in the UK and Australia, compared to the US. 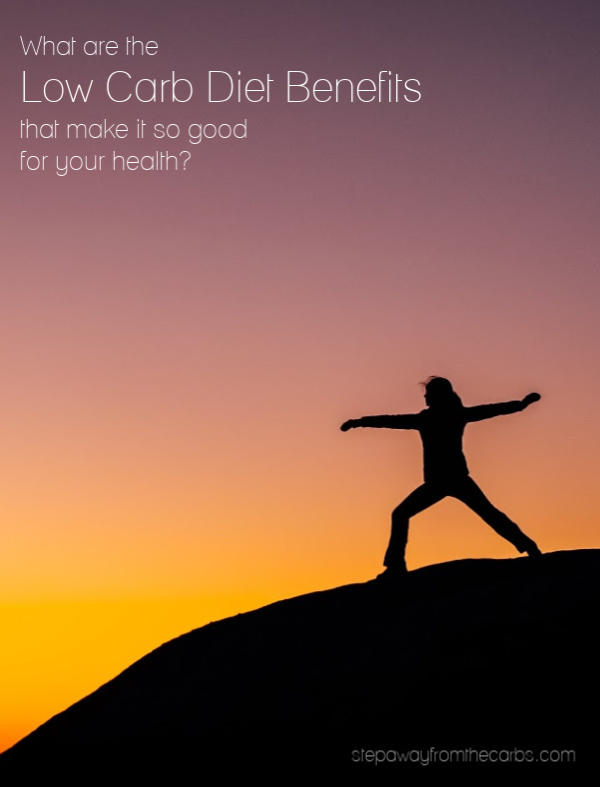 If you want to read an in-depth scientific analysis of WHY low carb diets work, I highly recommend reading What Are The Low Carb Diet Benefits – it really tells you everything you need to know about why this way of eating works for so many people. BUT! It’s not as simple as this list makes out. 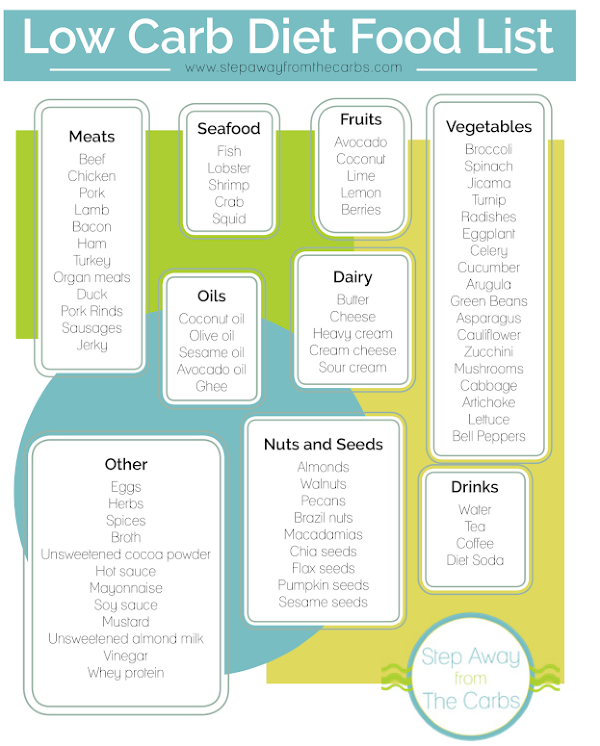 I highly recommend downloading my FREE low carb foods list, which will give you a better idea of what foods are best. Please note that this list does not contain absolutely every low carb food – it is intended as a guide for when you are starting out. There may be certain restrictions depending on which plan your are following, too. For example, you may want to cut out fruit completely in the first stage of your weight loss, and slowly add them back in at a later date. I haven’t listed sweeteners here because although many are low carb, the world of sweeteners is a complicated one – because so much is down to personal taste. When I started low carbing over ten years ago, pretty much the only option was Splenda. Now we have much better options such a erythritol, stevia, xylitol, monkfruit, and many more. My best advice is to see which sweeteners you can easily buy, check the nutritional labels, and if all looks good, try them out. You’ll find recipes online for every sweetener. But can I still eat…? Pasta and noodles: Zoodles “zucchini noodles” are popular for many reasons – but you can make noodles out of so many other vegetables! If pasta is your weakness read Low Carb Spaghetti Alternatives and my Ultimate Guide to Shirataki Noodles. Potatoes: If you’re looking for mashed potatoes, then cauliflower mash is a great alternative – both as a side dish and a pie topping. If you’re craving fries, then I’d suggest trying turnip fries – or something completely different like zucchini fries or even avocado fries! And finally, if you really wants some roasted or sautéed potatoes, then I used a combination of butternut squash and turnip in this low carb breakfast hash recipe, and roasted radishes really mellow as they cook and are a wonderful substitute! Bread: A few months ago I sent a one-question poll out to my newsletter subscribers, asking them to tell me what their number one struggle was with low carb diets. BREAD was a big issue for so many people. Now I’m no baker, but I *did* write the Guide to Buying Low Carb Bread, which features my findings from sampling some of the top products available – plus a few quick-fix recipes like Low Carb Quick Bread which is made in the microwave! Rice: I’m a HUGE fan of cauliflower rice – I use it to make pilaf (this recipe shows you how to make your own cauli rice), in risottos, or as a side dish. Alternatively you can try shirataki rice – Miracle Noodles is currently my favorite brand, and you can get 10% off when you order from them direct! Use coupon code “AFF10” on checkout to get your discount! These days you can often find zucchini noodles or pre-riced cauliflower in supermarkets. But for other specialist items you might want to look at places like Amazon or Netrition – there is a huge range available! I have such a sweet tooth! I want sweet treats! Yep – you and me both! 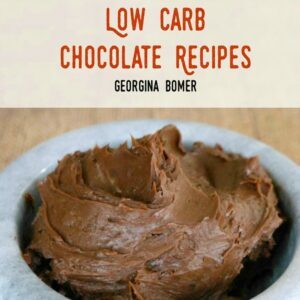 Apologies (kind of) for the shameless plug, but there’s a reason why I wrote the book Low Carb Chocolate Recipes – I love chocolate!!!! But I also love candy and ice cream and – well, you get the idea. 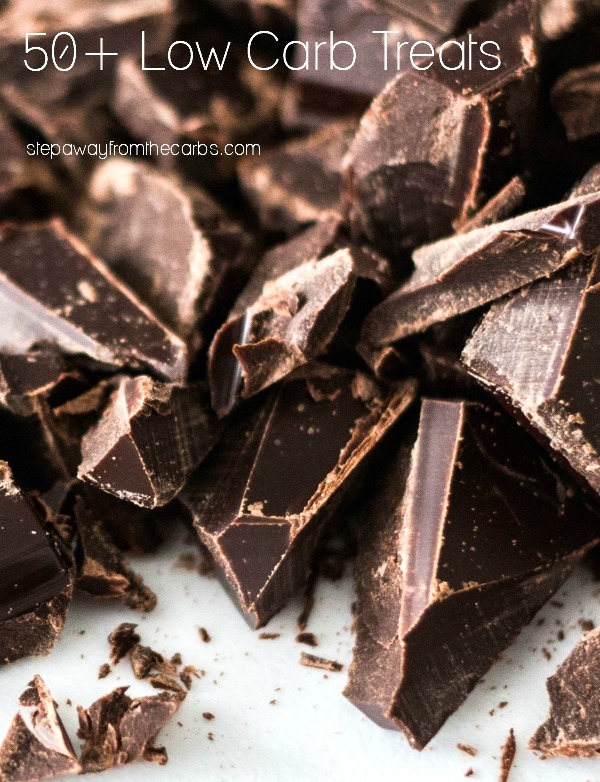 If you feel the same way, then I highly recommend clicking over to my guide on 50+ Low Carb Treats – which includes a review of all the best low carb chocolate products! So… do I have to eat eggs and bacon every morning for breakfast? Absolutely not! While you might have more time at the weekends, most people do NOT want to go to the effort of cooking a full breakfast every morning. Also, a common complaint among people who start a low carb diet is that they REALLY want a breakfast without eggs! With low-carbing you sometimes have to think out of the box – how about some of that left over roast beef in a lettuce wrap? Or – one of my favorites – ham and cream cheese roll-ups? You can see my full list of low carb breakfast recipes or – if you’re always short on time or energy in the mornings, you’re really going to love my 28 Quick Low Carb Breakfast Ideas!!! Talking of low energy – this sounds like family meals are going to be impossible! Don’t want to be a short order cook but the rest of your family still demand carbs? I won’t lie, it’s a tricky balance – and every household is different. By husband prefers low fat and gluten free food, and my son is as picky and fussy as an 8 year old can be. There’s not a lot of crossover, but I try and make small adjustments to make things easier. If you’re cooking a chili, make it without the beans. Cook rice for everyone else, and enjoy yours straight out of the bowl with sour cream and cheese. I love quick and easy sides that I can prepare in addition to what I’m cooking for my family – palmini noodles (made from hearts of palm! ), Zeroodles, and shirataki noodles take less than 5 minutes to prepare, and I can do that while the rest of the food is cooking. Yes, it’s one more pan to wash up, but it’s worth it to stay on track. 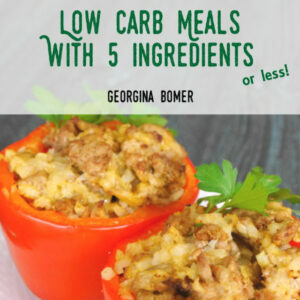 If family meals are an issue for you, take a look at my book Low Carb Family Favorites – it features over 70 recipes that the whole family will enjoy – even if they love carbs! OK. So what about eating out? I could write a LOT on this subject. The shortest answer is: Google “low carb *enter name or restaurant or cuisine here*”. This article is already pretty long because there is SO much information that I want to share with you, so I can’t give you the full answer I would like. The slightly longer answer is – avoid the bread, the fries, the sugar-laden sauces. Nearly every restaurant can deal with an order of a “burger-no-bun”. Swap potatoes and fries for veggies or salad where possible. Cuisines like Italian (all that pasta and pizza! ), and Chinese (SO much sugar in those sauces, plus the rice!) are hard, but not impossible. Restaurant desserts are almost always a no-go, I’m afraid. If you’re really struggling finding something to order at your favorite place to dine, leave a link to the restaurant in the comments and I’ll happily make some suggestions! Can I at least drink wine? The jury is out on whether alcohol is wise on a low carb diet. There are two parts to this: firstly – the carb count of the individual drinks, and secondly – the nature of alcohol. You might be super strict during the day but after a few glasses of wine, your resistance lowers, your hunger increases, and it’s all too easy to eat three slices of pizza. The tolerance aspect is up to the individual, their determination to succeed on a low carb diet, and how experienced they are at avoiding low carb temptation. So let’s focus on the actual statistics of alcoholic drinks. I cover this in detail in my article Can You Drink Alcohol On A Low Carb Diet? – and I list all the main drinks by net carb count. If drinking is your weakness – please read my post for more information. Even if you’re an infrequent social drinker – you can still make wise choices. The list to avoid is beer, hard cider, and sugary cocktails – they are SERIOUSLY high in carbs. Don’t even go there (although you can get low carb beer options these days, I haven’t tried them). In the middle, you have wine – and the drier the better, because that usually means less sugar, and fewer carbohydrates. And these days, there are awesome companies like Dry Farm Wines that test every single wine and only sell the ones that are low in carbs. And then you have clean spirits, like vodka, gin, rum, brandy, and tequila. They’re all ZERO carb. So for a special occasion, with a suitable low carb mixer, they’re totally OK. After over a decade on a low carb diet, I completely understand that denying yourself of too much isn’t good for you. My mini ebook – Low Carb Cocktails – has all kinds of suggestions of drinks that you can make for yourself – and many of them are zero carb! But before you indulge – I want to remind you of my second point about alcohol – don’t get so carried away that you undo all your good work. You might regret it the next day in more ways than one! I go to the gym a lot – what am I supposed to eat post-workout? With a low carb diet there are MANY ways that you can easily add protein to your post-workout meal. Check out my post 30 Low Carb High Protein Foods for a handy guide – although I would particularly recommend my Blueberry Protein Power Smoothie after a workout! This all sounds good – in theory – but how can I keep this low carb diet going? Motivation is a real problem when you start a low carb diet. Honestly – I remember my first few weeks so well! 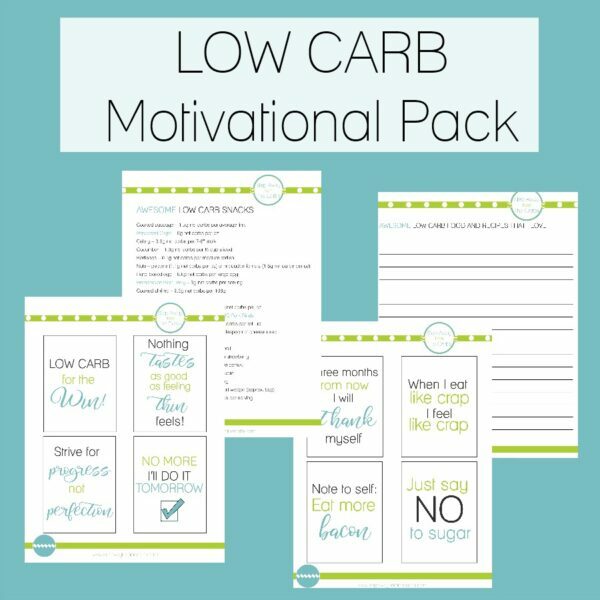 I channeled those early feelings (and what worked for me) into a Low Carb Motivational Pack. It’s a simple pack of four pages, comprising two pages of motivational cards (place them on your mirror, at your desk, or wherever! ), a handy guide of quick low carb snacks in case of hunger emergency, and a list for you to complete of YOUR favorite low carb meals. Trust me – tape it to a cupboard door and appreciate that this way of eating includes SO many delicious foods!!! Have you got any questions for me? Leave them in the comments below!! 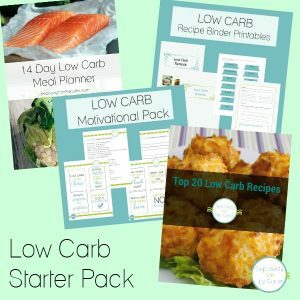 My starter pack is perfect if you're just beginning your low carb journey!